The synthesis is accomplished through a series of Wittig reactions with an aryl-aryl coupling to stitch together the final rings. 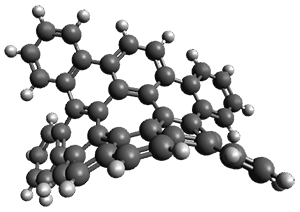 The molecule is characterized by NMR and x-ray crystallography. The authors have also computed the structure of 1 at B3LYP/6-31G(d), shown in Figure 1. The computed C-C distances match up very well with the experimental distances. The strain energy of 1, presumably estimated by Reaction 1,2 is computed to be about 119 kcal mol-1. 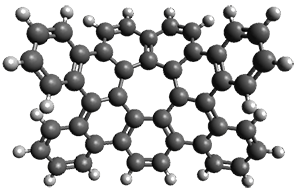 1) Povie, G.; Segawa, Y.; Nishihara, T.; Miyauchi, Y.; Itami, K., "Synthesis of a carbon nanobelt." Science 2017, 356, 172-175, DOI: 10.1126/science.aam8158. 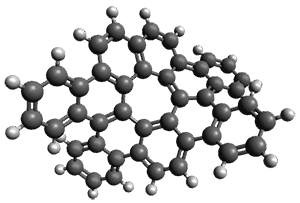 2) Segawa, Y.; Yagi, A.; Ito, H.; Itami, K., "A Theoretical Study on the Strain Energy of Carbon Nanobelts." Org. 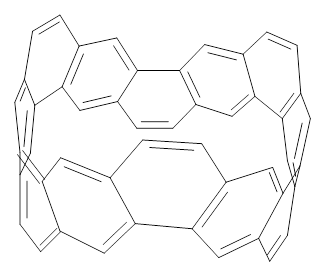 Letters 2016, 18, 1430-1433, DOI: 10.1021/acs.orglett.6b00365. 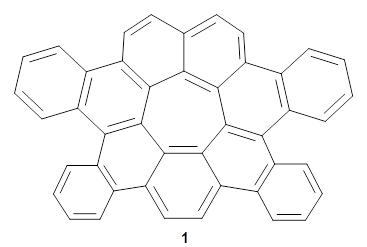 As with the parent compound, a C2 and Cs form were located at B3LYP/6-31G(d,p), and are shown in Figure 1. The C2 form is 7.6 kcal mol-1 lower in energy than the Cs structure, and the two are separated by a transition state (also shown in Figure 1) with a barrier of 12.2 kcal mol-1. The interconversion of these conformations takes place without going through a planar form. 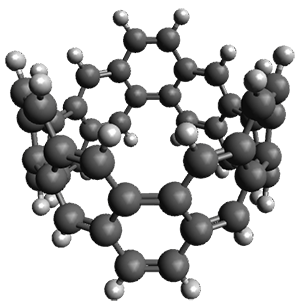 The x-ray structure contains only the C2 structure. It should be noted that the C2 structure is chiral, and racemization would take place by the path: 1-Cs &lrarr; 1-Cs &lrarr; 1-C2*, where 1-C2* is the enantiomer of 1-C2.